Golf’s elitist vibe and ponderous pace isn’t for everyone, but the game is not without its share of young, ardent followers. Fully 25 percent of all active golfers in the United States fall in the 18-to-34 age bracket, according to the National Golf Foundation. In order to better connect with these 6.2 million golf enthusiasts, the PGA Tour is launching Skratch TV, an all-new digital video platform, in partnership with Bedrocket. Bedrocket already operates two sports-focused video properties: the multi-sport Network A and the soccer-focused KickTV. Powered by the Bedrocket’s proprietary Boxspring CMS (content management system), Skratch TV will supply Generation Y golfers with their daily dose of golfing action in the form of bite-sized videos. 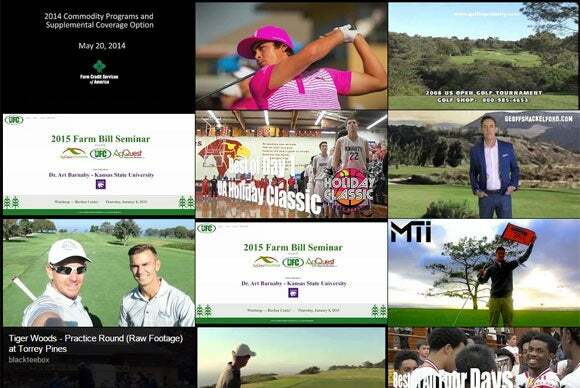 Besides original programming, the video platform will also host PGA Tour highlights and other curated content.